Great news this weekend for the Homeward Bound Golden Retriever Rescue Memorial Garden…the irrigation system has been pushed through and approved! It took a few tries, and a very generous donation from one of our volunteer gardeners, but it now appears to be on its way! This simple, but critical element, means that the gardens will truly have their best chance of long term success. In return, we hope they will someday soon, help to generate financial support for the Golden Retrievers waiting for homes. 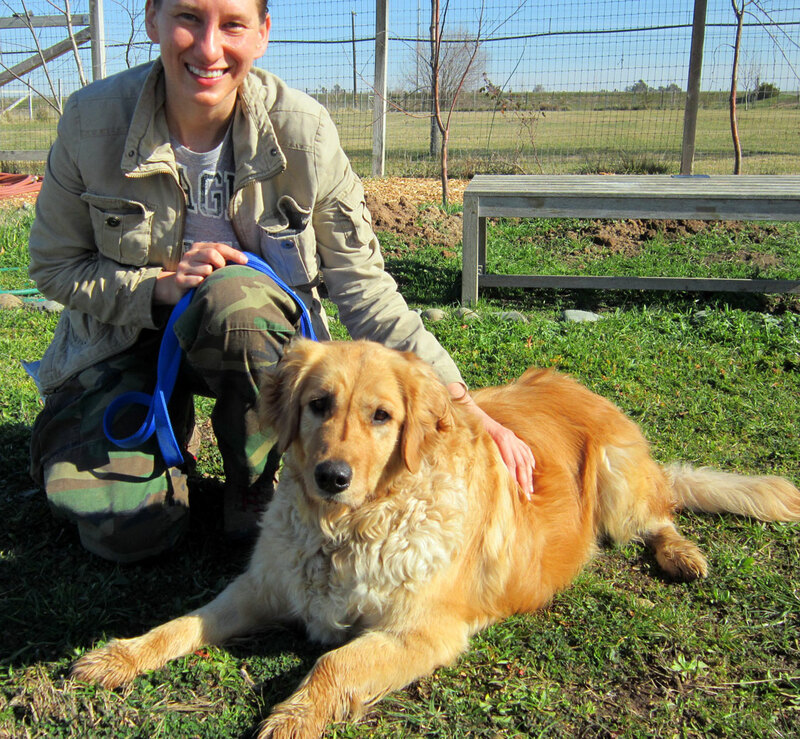 Perseverance will ultimately pay off – for gardens and for dogs in need of rescue. Today I met Harlow – an incredibly sweet girl who, I understand, is without a home because she was not house-trained. This loveable Golden is now in need of rescue for lack of human patience and perseverance. I hope she will connect soon with someone who will take the time to help her over this hurdle. In return, I suspect they’ll be rewarded with the unconditional love and gratitude of a very special girl. Your generosity clearly includes humility. Our deepest gratitude to you. 🙂 That sun and heat today TRULY humbled me. Feeling old-lady tired after an afternoon in the garden!